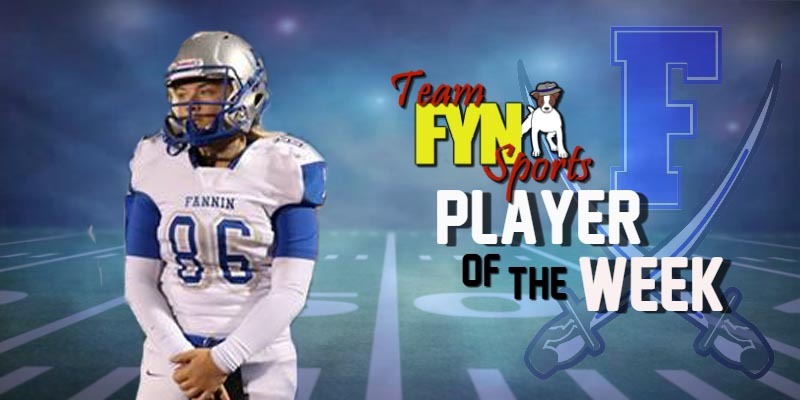 The Player of the Week for 10-29-2018 is Sarah Sosebee. Wearing number 86, Sosebee has become a force to be reckoned with when it comes to the crucial extra points after a Rebel touchdown. In this past Friday night’s history making victory over the Indians of Lumpkin County, Sarah Sosebee was a perfect 5 for 5 in the game. 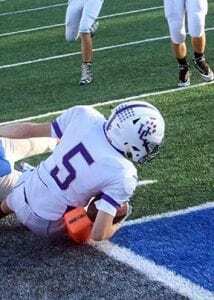 These 5 points didn’t come into play Friday’s game but could’ve proved necessary in a closer score. Sosebee being a former soccer player has the intensity needed and yet is able to hold her nerves in check when she steps on to the football field. 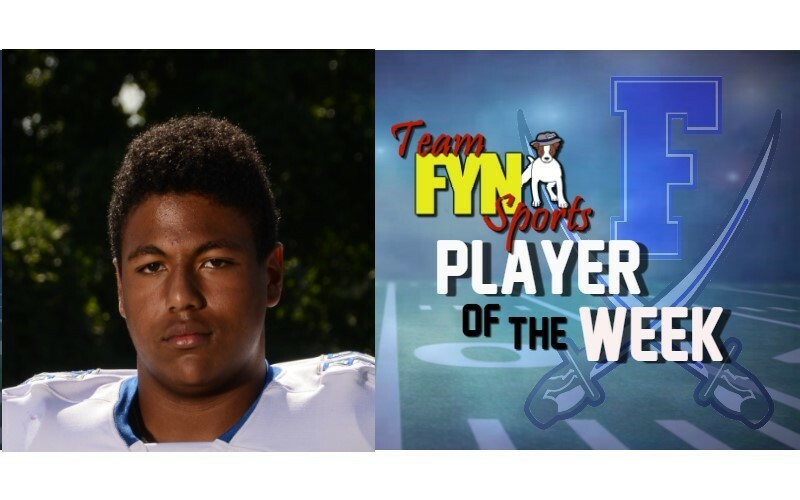 Congratulations to Sarah Sosebee for being chosen the Team FYN Sports Sports Writer Player of the Week for October 26, 2018. 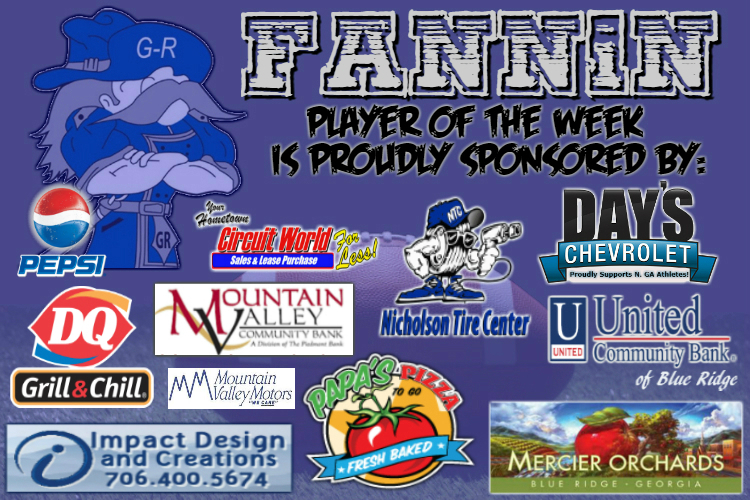 History was made last Friday night as the Rebels of Fannin Co. traveled across the mountain to battle the Indians of Lumpkin Co. With both teams looking to walk away with a victory and earn a berth into the GHSA State Football Playoffs for 2018 the energy in the stadium was electric. The hiring of Chad Cheatham, an alumnus of FCHS, brought a new energy to the football program and in his first season as the new skipper he brought the results hoped for. 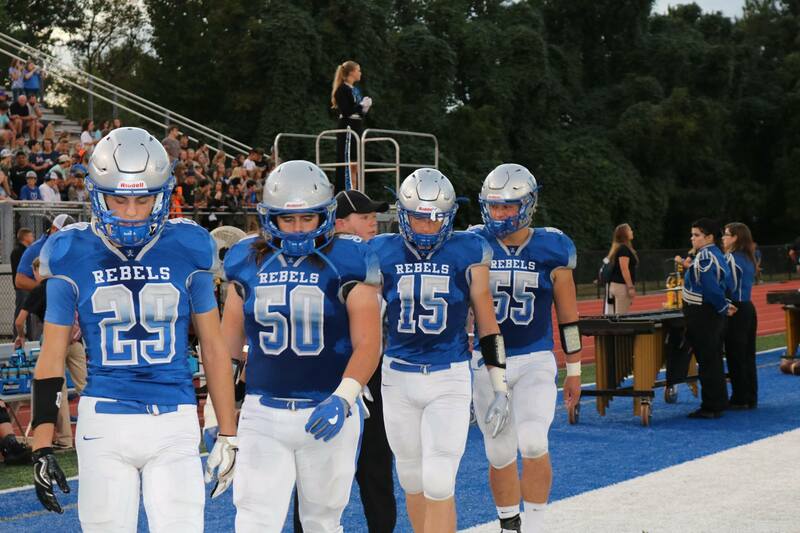 The Rebels are making their first playoff appearance for AAA-Region 7 in school history. It took a total team effort throughout the 2018 season but without the big win over the Indians 2018 would’ve been just another year. The 35-14 victory put this team in the record books for ever. 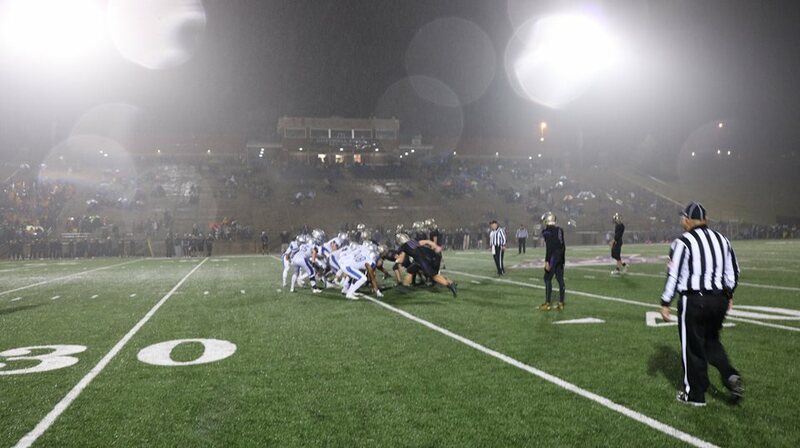 The famous saying that”Defense wins football games” held true in Dahlonega. 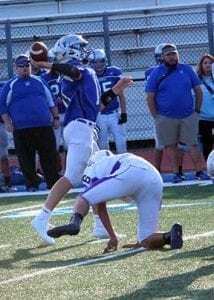 The performance by the Fannin defense kept a very good Indians offense fro putting the ball across the goal line until the second half. 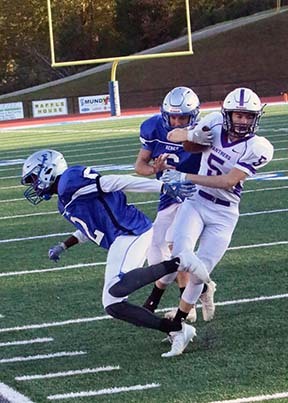 Lumpkin hit pay dirt in the 3rd with 7 points and again in the 4th with their second and last touchdown of the game. 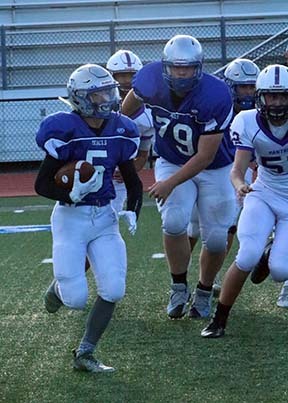 There were multiple white jerseys swarming to the ball carrier all night and keeping the running attack of the Indians at bay. 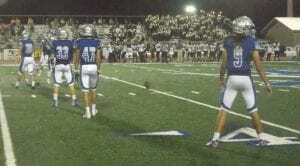 The home team carried the ball 31 times for 195 yards and passed for a small 22 yards. (Complete defensive stats were not available at time of article). 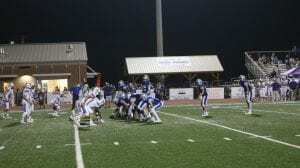 The Rebels crossed the goal line 5 times in the historic win over the Indians. Quarterback Luke Holloway had 2 touchdowns, Will Mosley with 2 TD’s and Tim Garland had 1 TD. Adding crucial extra points for the Rebels, Sarah Sosebee was a perfect 5 for 5 on the night. The front line for Fannin isn’t your typical big front as other teams but these guys put their heart and soul into completing the blocking assignments and give the backfield the protection and room they need for a successful play from scrimmage. 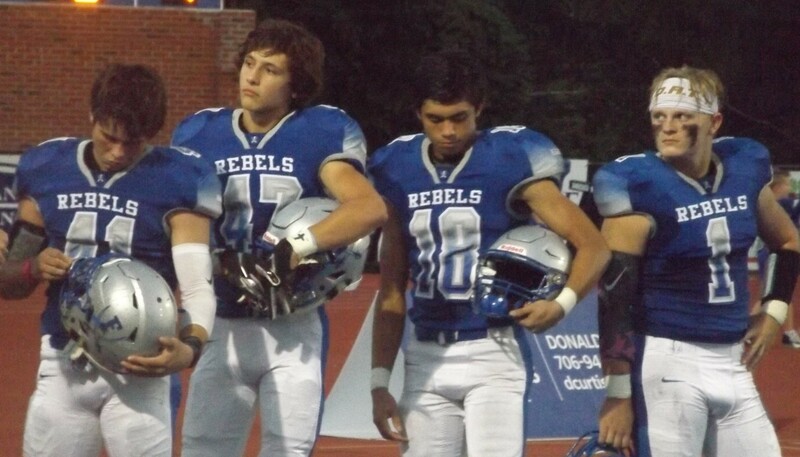 The Rebel ball handlers had 250 yards rushing and Holloway added 139 yards through the air in the 35-14 victory. 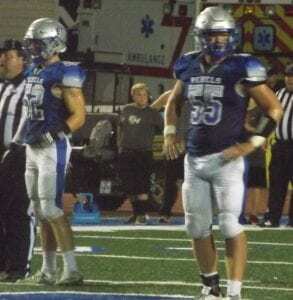 Treylyn Owensby led the rushing attack with 116 yards followed closely by Luke Holloway with 83 yards(2 TD). Will Mosley scampered for 39 yards, 2 touchdowns and Tim Garland had 12 yards and a touchdown. Evan was the name of the night in catching the Holloway passes. 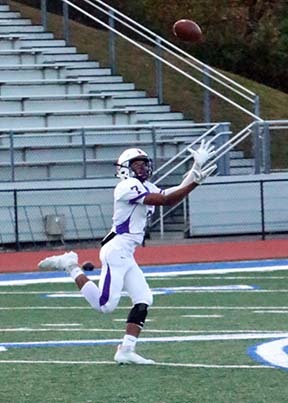 Senoir Evan Catron had 47 yards and Senior Evan Taylor had 44 yards to lead the receiving corps. 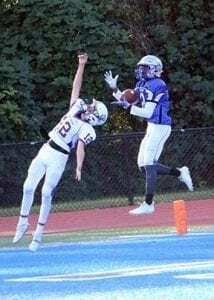 Cohutta Hyde(23), Will Mosley(12), and Jalen Ingram(13) also with catches brought total receiving yards to 139 for the Rebels. 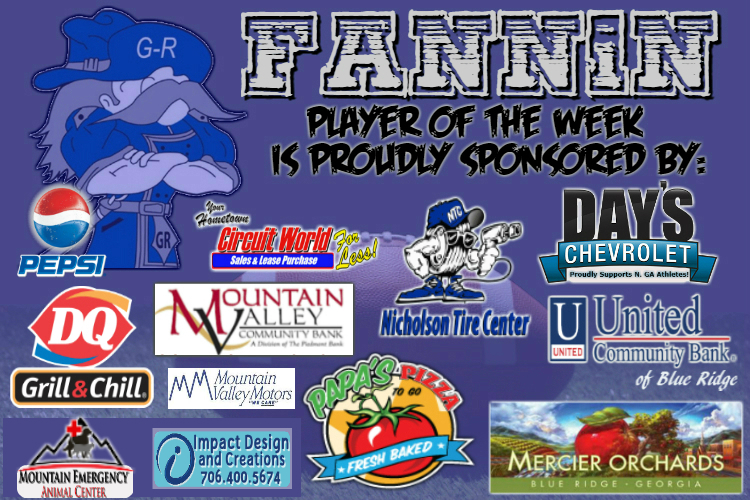 This huge wins puts the Fannin Rebels in at the 4 seed of the 7-AAA playoffs but the season isn’t over yet. With the final game of the regular season being Friday night the Rebels will travel south to cleat up against Greater Atlanta Christian. 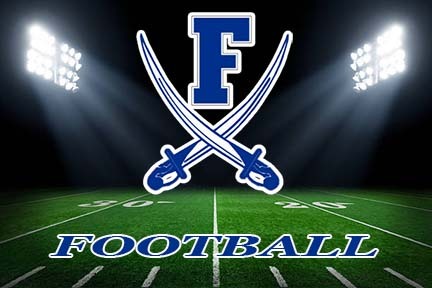 Congratulations to Coach Chad Cheatham and the Fannin Rebels on their berth to the 2018 playoffs!!! The Junior Varsity squads for the Union Panthers and the Fannin Rebels battled it out on the football field last Thursday at Fannin High School Stadium. As the sub-varsity schedule starts winding down these two teams came ready to play and do their best to earn a hard fought victory. 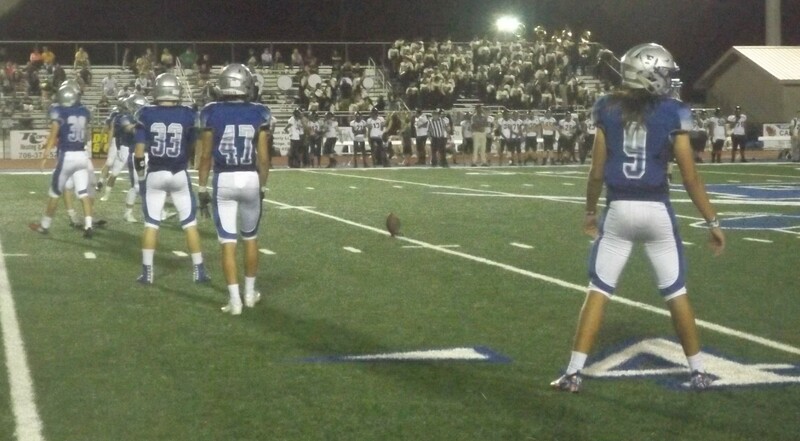 The captains come to the center of the field for the coin toss in which the Panthers won and chose to receive the football to start the second half. The Rebels took the ball to start the game. Both of the defenses started strong and kept the game scoreless late in the first quarter. With 3 minutes and 58 seconds in quarter the Rebels pushed a score across the goal line making the score 7-0. The Rebels forced a turnover and on the ensuing possession added 7 more with 3:13 on the clock. The start of the 2nd quarter saw the momentum change to the Panther side of the ball. The Union offense started firing on all cylinders to put up 14 points of their own. 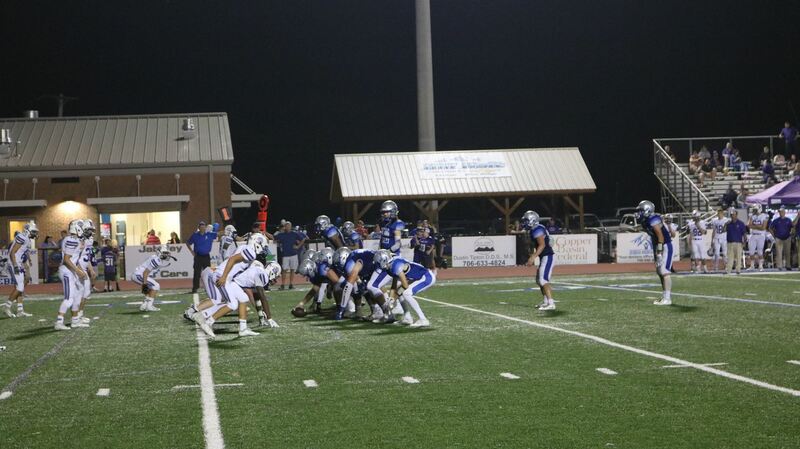 Back deep for the panthers was #7 who took a Rebel kick off 80 yards for a panthers score. As a receiver he also had an 88 yard catch and run for another 7 to bring the score at 14 a piece to end the first half of play. 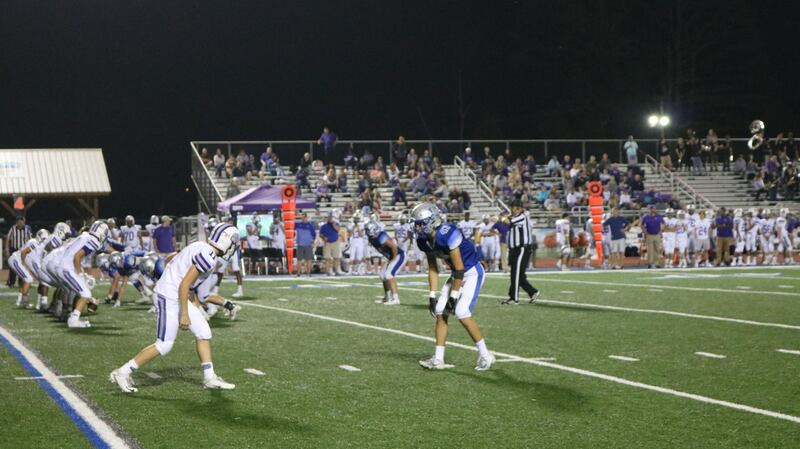 With the choice by the Panthers to receive the ball in the second half the Rebels placed the ball on the tee. Catching everyone off guard, Fannin executed a perfect on side kick and recovered to take possession at the Panthers 48 yard line. 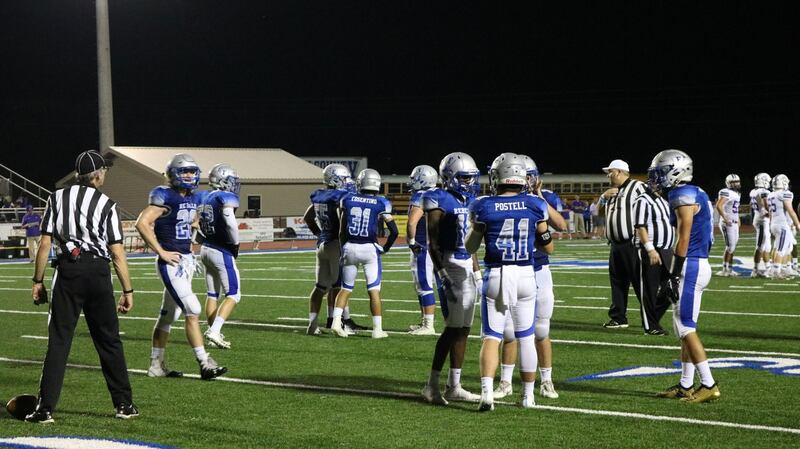 The Panthers defense brought the Rebel drive to a quick halt and took over on downs switching the energy back to their side once again. The Rebels coaching staff took an opportunity to get the 8th grade squad in the game for some very valuable experience. These younger players played hard and competed to the level of the game. 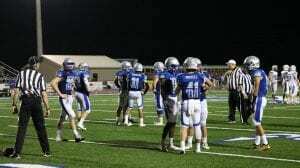 The Panthers were able to put up 2 touchdowns in the third quarter bringing the score to 28-14 over the Rebels. The game would end with that score in favor of the Panthers Junior Varsity. 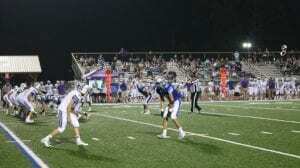 The Panthers had over 350 total yards to the Rebels 273 yards. Each team had several penalties called against them but played very well in an exciting game. 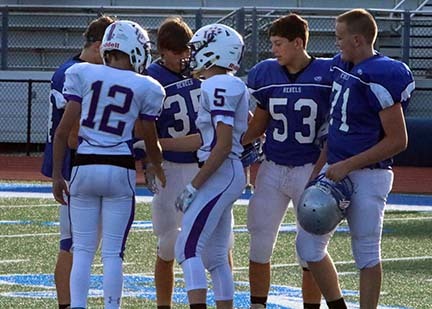 Can’t wait to see these young athletes play at the varsity level for Union and Fannin in the coming years.